What’s better then a cup of coffee? How about a hug in a mug? Or, hugs that come with a gift card to your favorite coffee shop? The card I’m sharing today it’s just the perfect card to add that coffee shop gift card too. 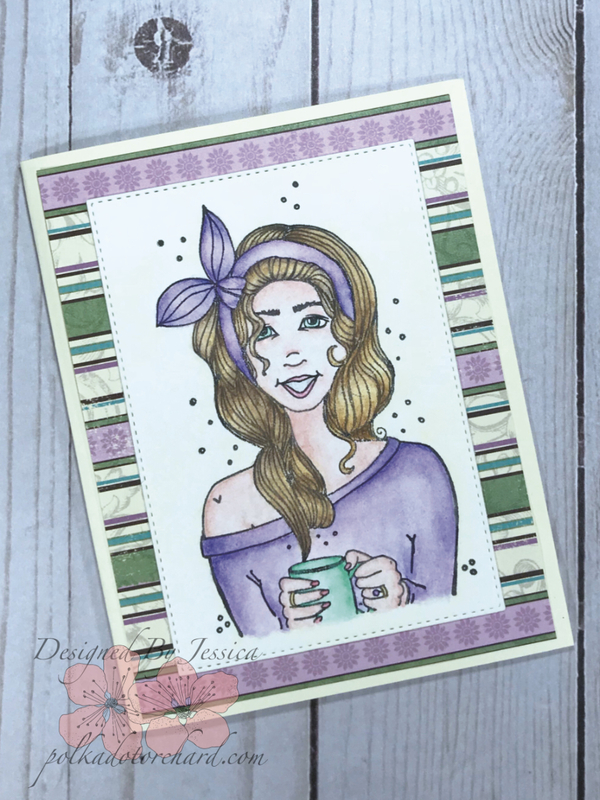 I will be I will be entering this into the Coffee Loving Cardmakers Spring/Summer Blog Hop and the Unity Stamp Co Angie Girl Challenge. Great job coloring. Love the paper that you used. Your card is darling, and I love how you done the inside and outside. Great job! Pretty card. Love the image and awesome paper. Aren’t you clever…love that you added the face! So pretty! Wow…what a great way to add a face! Pretty genius! So Pretty Jess! I LOVE the paper and the coloring you did on the image…. Turned out awesome! Fun design and super gorgeous coloring.